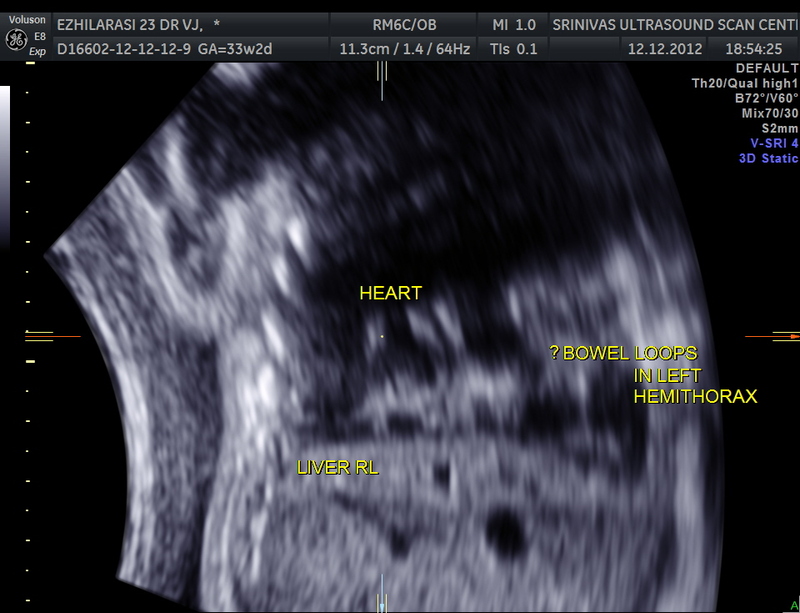 This was a 23 year old primi gravida without history of consanguinity was sent for anomaly scan at 33 weeks of gestation. 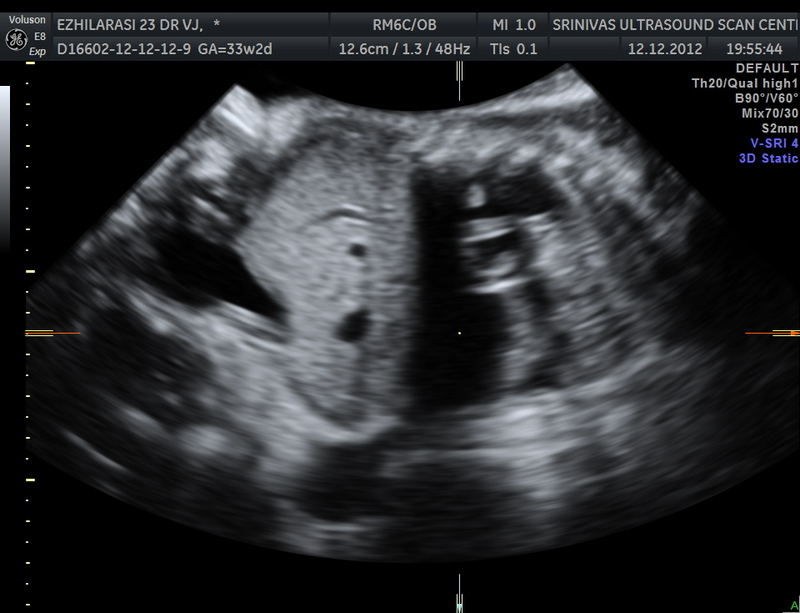 Earlier two scans had not detected any anomaly at another centre. 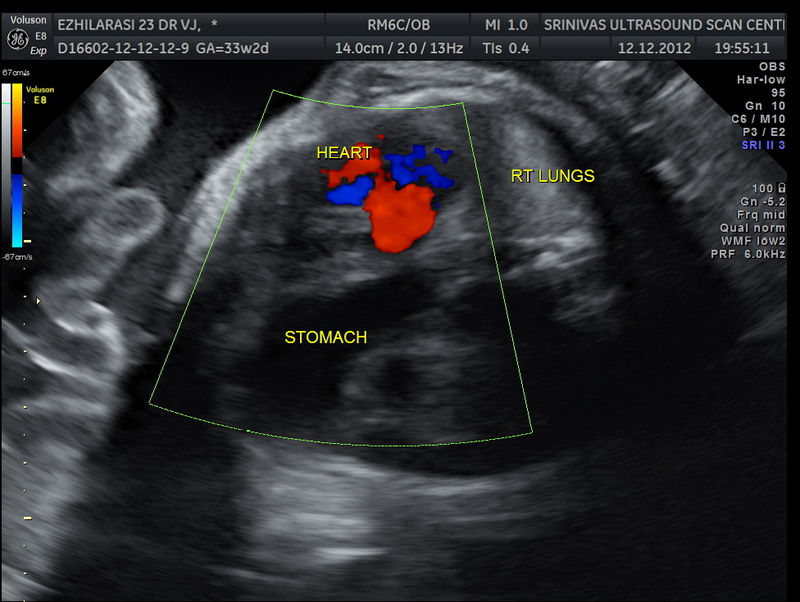 The heart was seen in the right side of thorax . 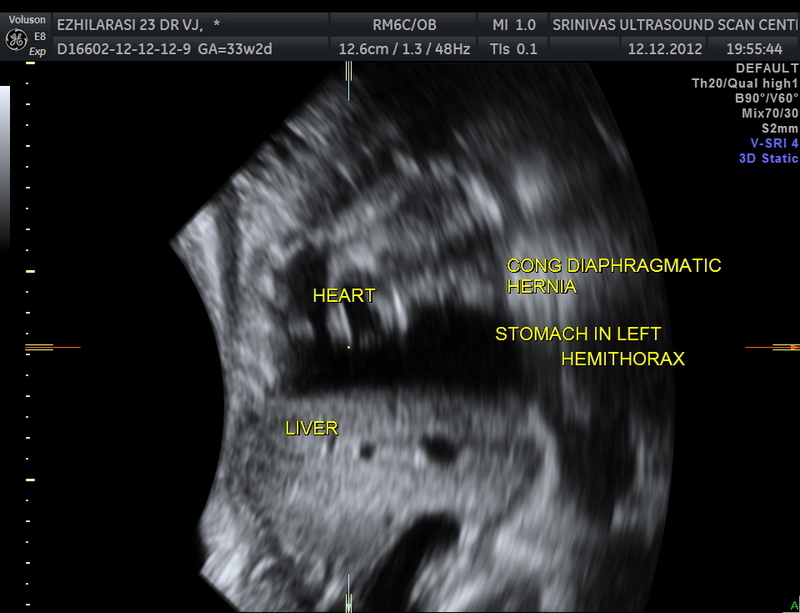 The left hemithorax showed the stomach bubble and bowel loops suggestive of Congenital Diaphragmatic Hernia . 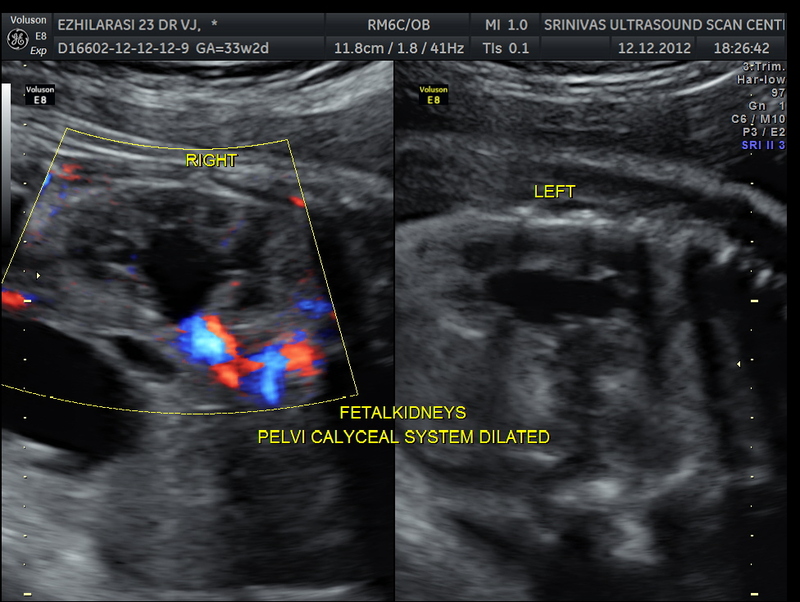 The fetus also showed bilateral pelvi calyectasis and rt ureteromegaly. 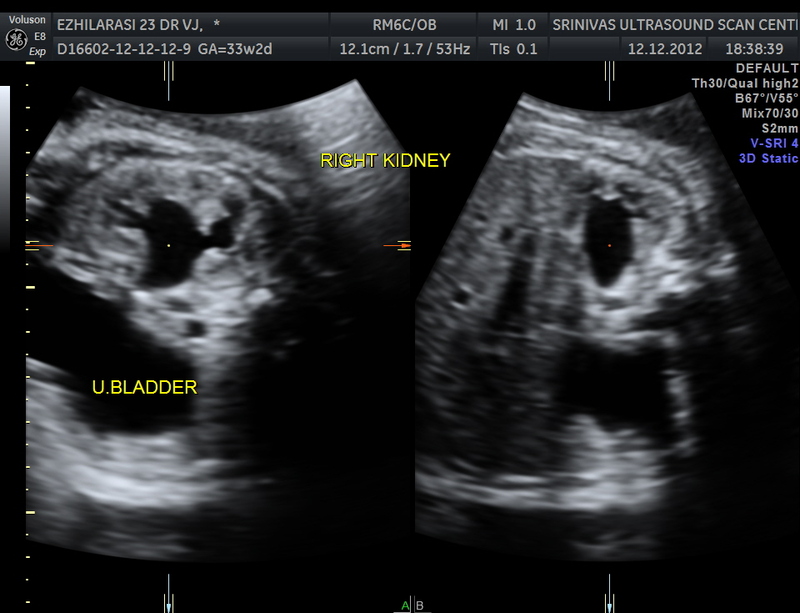 I’m expecting a CDH baby right now. 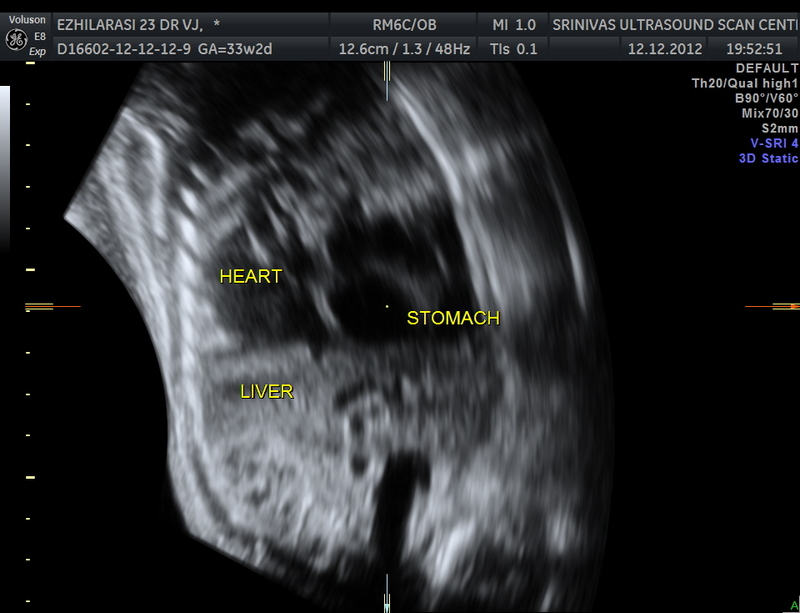 Though not as severe as the photos above (the stomach is the only organ that has migrated up into the chest cavity), it is still a very scary situation. Thanks for posting this to raise awareness. 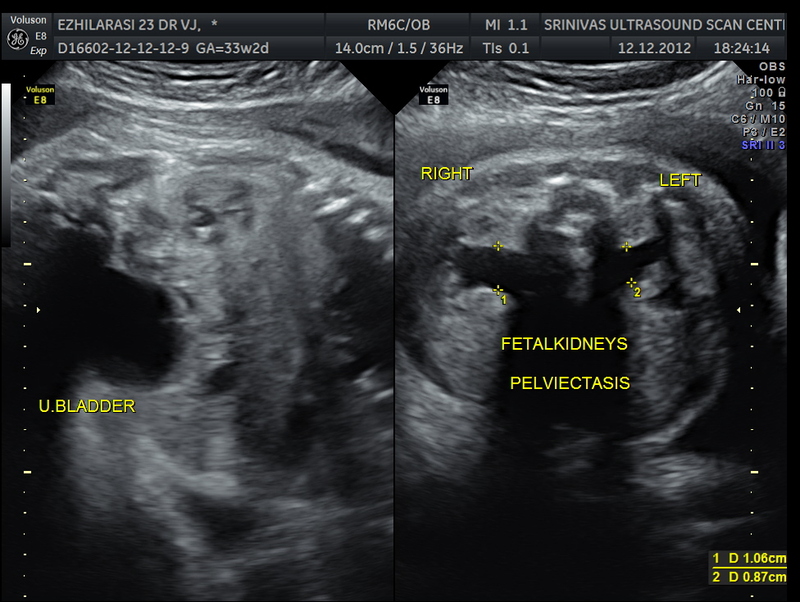 I hadn’t ever heard of CDH until we were diagnosed at 18 weeks (I am 30 weeks along now). 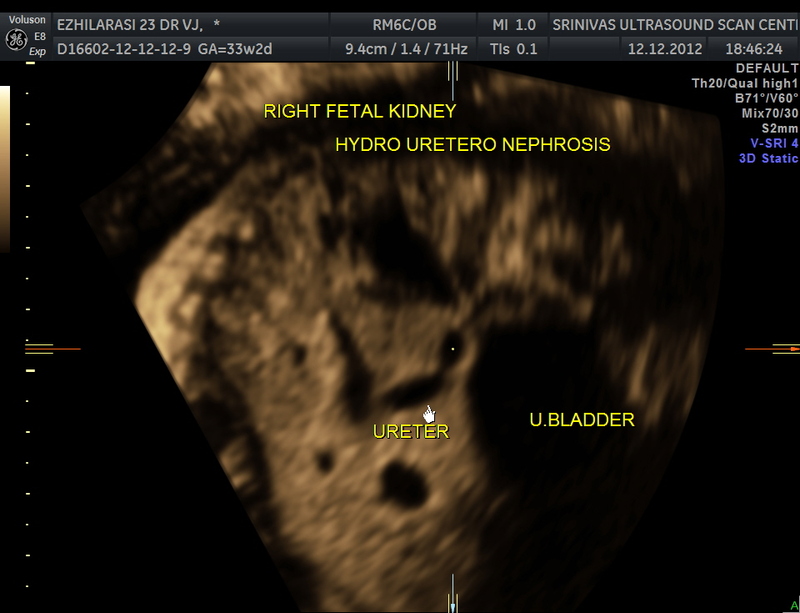 We published a series on fetal and neonatal hydronephrosis in the ASEAN journal of radiology using USG and isotope renograms done in CNMU Rangpur Bangladesh.